The Mora Smoothie fashion blog, DIY fashion by Paola Buonacara: A cafebreak with Camilla Oliosi by Bizzaria Jewel Couture! A cafebreak with Camilla Oliosi by Bizzaria Jewel Couture! Today's post is about an interview with Camilla Oliosi creative, founder and "Boss" of Bizzaria Jewel Couture. 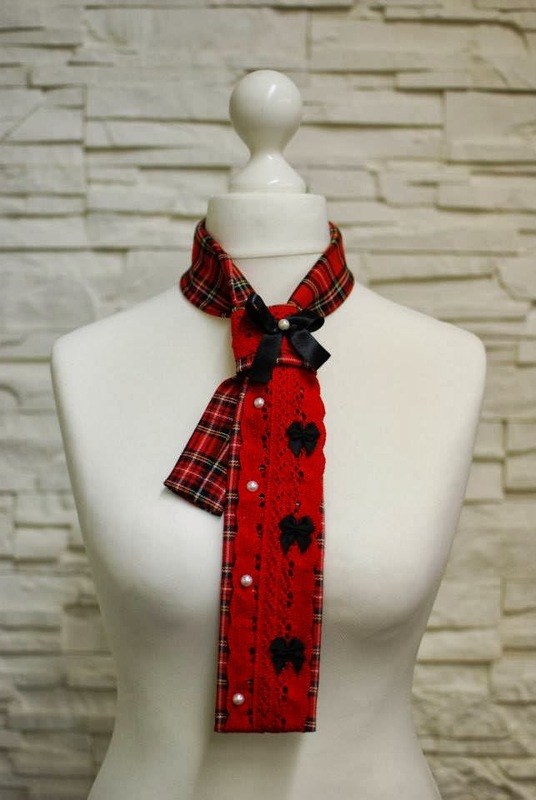 A beautiful girl (you can check by yourself), a creative all-round, a designer that achieves the beautiful handmade accessories from her ... also for our lovley pet and they are really beautiful. 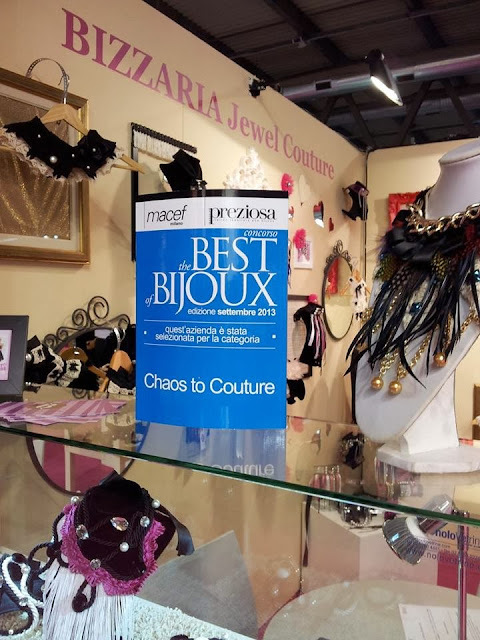 She won the Best Bijoux Awards and her creations have been exhibited in New York city and a newyorker magazine has dedicated to her an article ... fantastic! But now the wonderful conversation I had with Camilla during a coffeebreak. PAOLA: How and when did your passion for creativity begin? CAMILLA: it's a passion I have from ever, since I was a child I was playing between brushes, designs and fabrics, I drew and enjoyed making clothes for Barbie, then turn towards fashion and when I was 14 years I also bought the sewing-machine for sew and I made my first dress ... the satisfaction is that it was much admired, but of course I was just at the beginning. PAOLA: How was the name Bizzaria Jewel Couture born and when? PAOLA: Is there any Brand that inspired you? CAMILLA: No, my creations are born from the deep of myself, I realize what comes from my mind and often I start with an idea that maybe then slowly I improve. PAOLA: To whom are your creations, and also do you realize requests or just your collection? CAMILLA: The collections are sold to the stores, but then I realize the request that come on my way. The target-type of people that will appeal to me is very varied, from the lady who wants a flower for a wedding, for a particular moment ... to the girl who wants a creation with studs and feathers and others. And with so many different materials and styles I can accomplish various desires and for different kind of people. PAOLA: Did you have any crazy requirements? CAMILLA: The most particular require that happened to me so far is the request from a friend of mine, who will marry the next year, she wants as an accessory for the head the most distinctive and original as possible is so ... I'm just working on. PAOLA: Your customers are only Italian or foreign? CAMILLA: I sell only in Italy but in the meantime I'm going to sell abroad ..
PAOLA: There is a particular famous person from the past or present that you would like wearing your creations? CAMILLA: Sure Madonna! Eclectic person that changes her look ... well really it would be my dream! PAOLA: A few words about your future ... how do you see yourself to be? CAMILLA: First, open my Showroom, continue to create and then pursue my passion ... and then I'd like to see worn by more and more people my creations and see them while walking on the street. And finally thanks to Camilla for her availability, her sympathy because the meeting with her was more than an interview, was like a meeting between good friends and if you still do not know I recommend you really to discover her, you can find her creations on her web-site, on facebook at various stores and soon on her Showroom ... Iim going to tell you that wearing one of her creations gives joy, try for believing! Etichette: bizzaria, bizzariajewelcouture, blogger, fashion, intervista, Outfit, the mora smoothie.